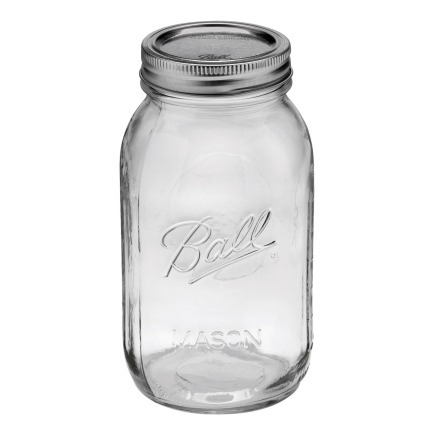 These are the jars we use for our soap dispenser design here at Roots in Rust. Maybe this will give you something to think about the next time you are soaping up! So let’s dive into it, shall we? 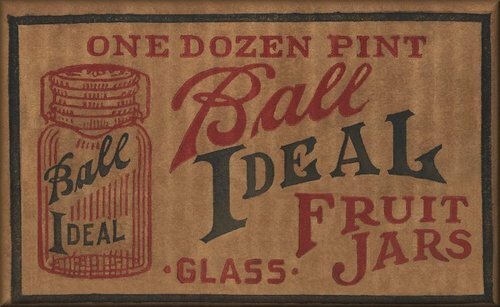 The Ball Brothers Glass Manufacturing Co. was one of the more successful companies that manufactured jars according to Mason’s patent. They began production in 1884 in Buffalo, New York, and later relocated to Muncie, Indiana, where their business really took off. 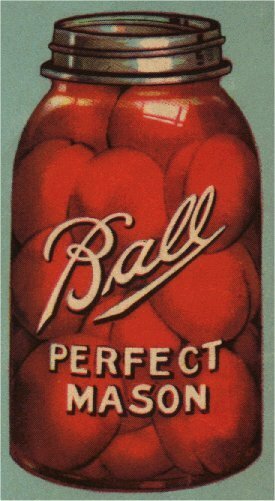 Ball eventually established itself as a leader in the home canning industry, even publishing a fruit preservation handbook, the Ball Blue Book. Today Ball no longer makes fruit jars, and has instead shifted to the aerospace industry. Why are some jars blue? Sand used from the Lake Michigan area was largely responsible for the distinctive “Ball-blue” glass. Ball Corporation stopped making these in 1937, however they are now available again in the Heritage limited edition line, as this year marks their 100th Anniversary. 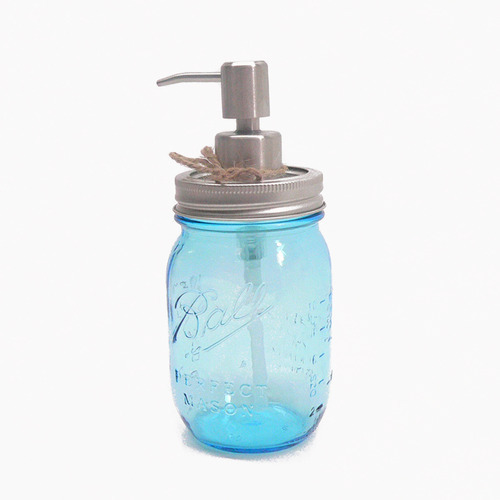 Here are adorable pint-size dispensers we make with these new jars! The numbers on the bottom of the jars once signified something, perhaps mold numbers. However, as moldmakers did not record them in a way that makes them meaningful to us now, they are pretty useless in determining the age of a jar.